The general election of 2010 was the most complex, fascinating and important British election of modern times. In one sense, it was the election that no one won. In another – and perhaps more significantly – it may have been the first election of a new twenty-first century era in which Britain has at last come to terms with the end of empire and abandoned the pretension to a world role. For Labour, it was undeniably a defeat, but a defeat on a smaller scale than might have been expected, and one that at least suggests that there is another day to live for. The result should certainly lead to a clear-out of a leadership that led the party down a cul-de-sac and wasted the greatest opportunity offered to a potentially reforming government since the end of the Second World War. The shocking invasion of Iraq, the obeisance to the excesses of the City, the tolerance of widening and damaging inequality in British society, the complicity in torture, were betrayals of principle that were not easily forgiven. A leadership that chose to identify itself by claiming “Newness” cannot complain if the passage of time exacts its toll. Nothing is now more past its sell-by date than “New” Labour. For the Conservatives, the result was bitter-sweet. David Cameron is in Downing Street and heads a government in which Tories hold the great offices of state. But the failure to win a majority was a fatal blow to any belief that Britain was about to return to its Conservative roots. If the Tories could not command a majority after thirteen years of a discredited Labour government headed by a deeply unpopular leader and off the back of the most severe recession in seventy-five years, it is hard to see the new Tory-led government as anything more than a default option. The election result suggests, in other words, that Conservative Britain is no more. Something less than a quarter of all those eligible to vote cast their vote for a Tory government. David Cameron cannot rely, as his predecessors have done for so long, on a substantial bedrock of conservative sentiment. Even the Sun and Lord Ashcroft’s millions could not swing it this time. We can no longer assume that Conservative government is the rule and other options are the exceptions. This is not to say that the outlook for the Conservatives is necessarily bleak. All depends now on Cameron’s ability to construct a new Tory support base, and he does at least – in addressing that task – have the advantage of being in government. Apart from all the other difficulties faced by his government, however, the one most likely to undermine his efforts to re-build Conservative support will be the refusal of his colleagues to understand their true situation. Too many of them will mistake the electorate’s impatience to dismiss a discredited Labour administration as an enthusiasm for the return of a Tory government, and will blame Cameron’s reforming moderation for failing to deliver a Tory majority. They will not understand that the constraints placed by the voters on the new government are a reflection of Tory weakness which only an acknowledgment of that weakness can hope to remedy. For the Liberal Democrats, though, these are heady days. They may not, however, last long. The euphoria following Nick Clegg’s revelatory contribution to the first leaders’ television debate was short-lived and did not translate into votes and even less into seats. The elevation of the Liberal leader to the role of kingmaker was a function of the failure of the two larger parties to secure a majority rather than of any sudden transformation of the Liberal Democrats’ electoral fortunes. The Lib Dems, however, will prefer to look to the present and future, rather than to the immediate past. For once, the electoral system has worked to their advantage. They have been dealt an exciting but difficult hand. All will now depend on how well that hand is played. The dangers are all too apparent. The relationship in government between two parties which have on the face of it little in common and one of which is six times bigger than the other, at least in terms of seats, will always be difficult. For the smaller party, there is a tricky line to walk between on the one hand pushing for too much and being slapped down by the larger partner, and on the other being so subservient as to lose any separate identity. It is in the nature of the political struggle that both parties, however well-intentioned they may be at the outset of the coalition agreement, will have a careful eye on the end game. For the Conservatives, the aim will be to keep the Lib Dems on side for as long as possible, so that the new Tory-led government can establish a record of responsibility and achievement, before going to the country with the plea that the time has come to dispense with the exigencies and limitations of coalition politics and to provide the larger party with a full mandate. The Lib Dems on the other hand will want to support the coalition arrangement for long enough to demonstrate their fitness of government while at the same time maintaining a sufficiently separate identity as to allow them eventually to appeal to the electorate as a viable alternative to their erstwhile partners. Whatever his current and no doubt genuine commitment to the newly struck deal, Nick Clegg will inevitably be looking for issues on which to strike a different posture from that of the Tories – and perhaps even an issue on which he would be able to end the agreement and ask the voters to say that he was right to do so. The Lib Dems will not accept a future for themselves as permanently junior partners in a succession of coalition arrangements. They will inevitably aim to offer the principal progressive alternative to the Tories, even if the Tories succeed in presenting themselves as reformed and moderate. Their long-term game plan, in other words must be to supplant Labour as the main alternative to Conservatism. That is why a coalition with the Tories, quite apart from the fact that they had the most votes and seats, was a better option than doing a deal with Labour. It will be easier to establish a distinctive identity by breaking with the Tories than it would have been with Labour. These differing pressures will of course be played out in a context determined not just by the two party leaders but by their supporters as well. Those hinterlands are populated by many who are nastier and tougher – more committed party warriors perhaps – than they are. Both leaders, in other words, will have to face in opposite directions at the same time – towards their coalition partners and to their own party ideologues. That Janus-like stance is sure to become more difficult as time goes by. All this is to say nothing of the genuine differences of principle and policy that induced Conservatives and Liberal Democrats to join different political parties in the first place. The coalition deal required both parties to abandon at the outset policy objectives and prescriptions that had been regarded in both cases as central to their differing stances. While many both within the Lib Dems and outside will welcome Nick Clegg’s abandonment of the anachronistic commitment to joining the euro-zone, those differences – over Europe, immigration, economic policy, tax and public services – will still be there. They will have to be negotiated in a context that is as difficult as any faced by any post-war government. The over-riding priority has to be the recovery from recession and the re-structuring of a British economy in serious and long-term imbalance. The immediate policy issue to be resolved is the response to be made to the government deficit – itself, ironically, the consequence of the massive failures of the private sector. The Conservatives will regard the size of that deficit as anathema and its reduction as the most urgent priority of the new government. There will be many Lib Dems, but perhaps not including Nick Clegg, who will want a more Keynesian approach, recognising the deficit not only as the price to be paid for past errors but as providing the essential breathing space to allow for a recovery that will be all the stronger if based on building rather than cutting; and the stronger the recovery, the quicker the deficit will come down. And the pain suffered mainly by the most vulnerable as a result of unnecessarily and ideologically driven deep and immediate cuts will not ease the path of either coalition partner to electoral success at the next election. While building a stronger and fairer British economy may top the list, there is a second objective of scarcely less importance – the restoration of faith in democratic politics and of Britain’s reputation in the world. Riding shotgun to George Bush’s out-of-control sheriff did enormous damage to our standing. A return to something like Robin Cook’s “ethical foreign policy” is desperately needed, but is likely to commend itself more to the Lib Dems than to the Tories. Electoral Reform – Is It Really A Game-Breaker? Many Lib Dems, however, will be ready to accept almost anything as long as they secure delivery of their central goal – electoral reform, which they have persuaded themselves will transform their prospects. The commitment to a referendum on the Alternative Vote may not, though, deliver that to them. Quite apart from the need to secure the legislation for a referendum, the Alternative Vote is not the most obvious or effective form of proportional representation and there is no guarantee that the voters would support it. And even if PR is achieved, the consequences for the Lib Dems may not be quite what they expect. The experience of New Zealand, which changed from first-past-the-post to a proportional system fourteen years ago, is that voters have a surprising ability to maintain the fundamental choice between a left-of-centre government and a right-of-centre government, even under a proportional system. PR may, in other words, mean that every vote gained because the Lib Dems are newly seen as serious contenders for power might be matched by the loss of a Lib Dem vote that had previously been cast as a form of protest. Fortunately for democracy, we know little about what determines the way people vote. This is not to say that there is not a good case for electoral reform. The New Zealand experience is again informative. The real significance of abandoning single-party government is the change that it brings to the process of government. The New Zealand experience of minority-led government has been that Ministers are constantly engaged in a process of negotiation; each piece of legislation, each major policy decision, has to be preceded by discussions to ensure that a parliamentary majority exists to support that particular measure. Curiously, this does not seem to have meant that the government’s programme is hopelessly delayed or frustrated. It has meant, at times of course, that legislation cannot be introduced until the necessary deals have been done, but the corollary is that the passage of more thoroughly prepared and carefully drafted legislation – once introduced – is smoother and takes less time. An even bigger plus is that the legislation – appealing as it must to a wider constituency than that represented by just one party – is often more soundly based and widely supported, with more of its contentious rough edges rounded off. The psychological change is also important. There is less of Quintin Hogg’s “elective dictatorship”. There is less obsession with doing down the opposition parties at every opportunity, since their support might be needed on the next item in the government’s programme. 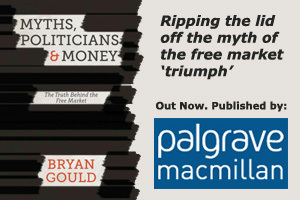 Governments are not only freer, but are required, to think more about broad-based positions than about the immediate party battle. There is a greater understanding of the value of broad public support and keeping in touch with public opinion. And Parliament itself is more widely representative of the range of opinion, and its members have a greater interest in and understanding of the processes and responsibilities of government. Perhaps the most significant long-term consequence of the 2010 general election, however, is that it may herald the demise of a dominating aspect of British politics for 200 years or more, the sense that in electing a British government we are also electing an administration that will play a significant role in governing the world. The oft-repeated need for “strong” government is in many ways a hangover from an imperial past when British education, public service and government were directed at providing able administrators to run large parts of the globe. Certainty and authority in decision-making were everything. But today, Britain’s role is as a medium-sized country which needs to focus on creating an effective, inclusive and prosperous democracy at home, rather than on wasting resources and energy on pretensions to a world role that is now beyond us. Other comparable countries, in Europe and elsewhere, have done very well without our particular obsession with “strong” (for which read “tribal”) single-party government and a winner-takes-all electoral system. A sustained experience of coalition government and a more representative Parliament, with all that that means in terms of inclusiveness, responsiveness and taking the wider view, might help us to that realisation.